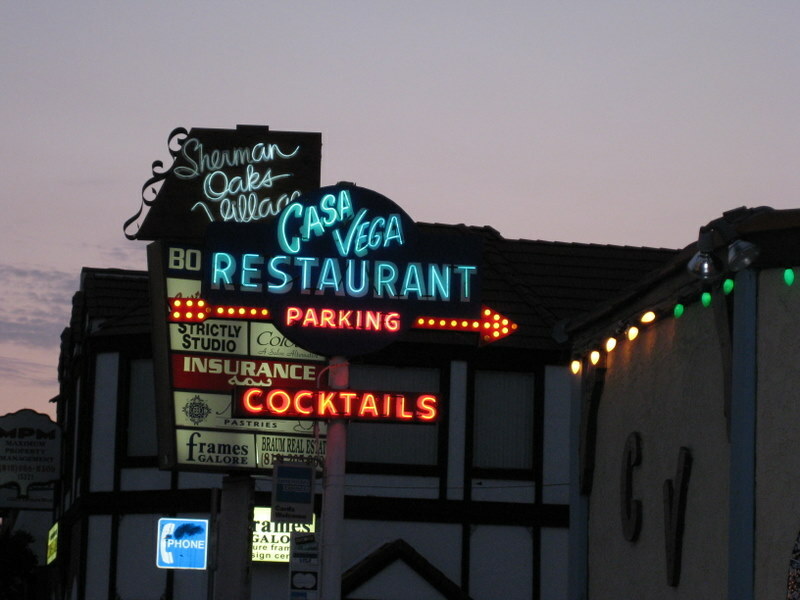 It feels like a lifetime ago that we visited Casa Vega in Sherman Oaks on December 26th, 2010. I could list a million reasons why I haven’t written this review in a timely manner, but believe me when I say it had nothing to do with the experience! In fact, I was pleasantly surprised by the food at Casa Vega. I went into the meal thinking that I wasn’t going to eat much more than a “vegetable burrito” that I would have to ask for off menu, and explain vegan requirements at great length to some server who hates their job and hates me for making them have to speak directly to the chef. But no! This was quite the surprising meal. A quick look at the menu reveals several lacto-ovo-vegetarian selections: 6 appetizers, 2 salads (although any salad can be made vegetarian just by asking), 1 soup, 2 burritos, 2 selections in separate section marked “platos vegetarianos”, 1 egg dish, several a la carte selections, and of course all desserts are dairy based and totally appropriate for lacto-ovo-vegetarians. With almost 20 options for vegetarians, what can a vegan expect? Is it feasible to ask to remove dairy from some of these dishes? That’s a great question that I am always asked. “What does a dish lose when you take away the dairy?” You have to ask yourself, just as I ask myself, can I live with a meal if I discover it’s lost it’s heart & soul with the dairy? I take my chances every time I eat out, and let’s just say… I’ve never been so disappointed that I wished I ate dairy just for the pure enjoyment of a food. And I was not disappointed one bit! The pizza itself was slathered in a beautiful layer of mashed black beans, sprinkled in veggies & chunks of the sausage (which I am assuming is Field Roast – my favorite brand of fake meats). I did not miss the cheese. One interesting side effect of being vegan is that you learn to appreciate the individual flavors of vegetables and how they combine in new & exciting ways. To imagine the flavors of the beans & cumin & olives & tomatoes muted by the fat & oil of cheese is now, to me, impossible. I don’t miss my lacto-vegetarian days. And for those of you reading this who may still be on the fence about whether or not you “can live without cheese” let me just say I don’t even give it a second thought when I am served delicious & simple meals like the pizza at Casa Vega. I have eaten at many Mexican restaurants in my career; the goofiest thing I ever did was ask for a “quesadilla with no cheese” just because I was curious to see what would happen. So anytime I claim to be brave when asking for changes to menu items it is because I have truly tested the boundaries! I suggest you give it a shot (within your comfort zone, of course) so you always have a “this can’t possibly be as crazy as…” memory to fall back on. Good luck & happy eating! Casa Vega gets 4 sprouts because although there are a treasure trove of lacto-vegetarian options, not all are possible to modify to vegan because they rely so heavily on cheese.